Apple’s highly anticipated “special event” took place on March 25th in which many had hoped they would finally announce their new video streaming device that could become a rival to Netflix. According to The Independent, the invitation to the event included the words “it’s showtime,” which many took to refer to their new streaming platform. The event took place in Steve Jobs Theatre within Apple’s headquarters, station in Cupertino, California. 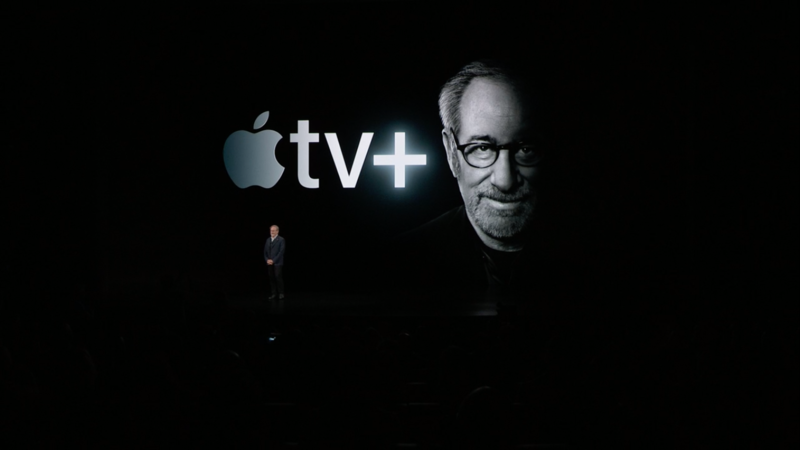 Before announcing their new content, Peter Stern, Vice President of Apple Services, first announced a new version of Apple TV: Apple TV Channels. In the app, you can pay only for what you want all in one app and on-demand and ad free. You can also download shows to watch later and it allows for family sharing. In the “Watch Now” tab, you will see personalized content from subscriptions you already have integrated from all services into one app. Cindy Lin, director of program management, went further to explain how even cable networks will be available alongside streaming services like Hulu and Netflix all in one place. This service will be available on other smart TV’s, not just the Apple TV, coming this fall. 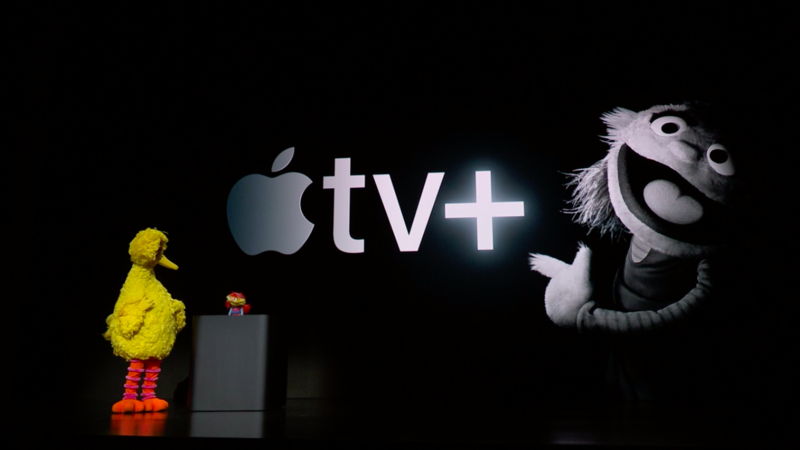 The biggest surprises of the truly “special event” came at the end with the announcement of Apple TV+. 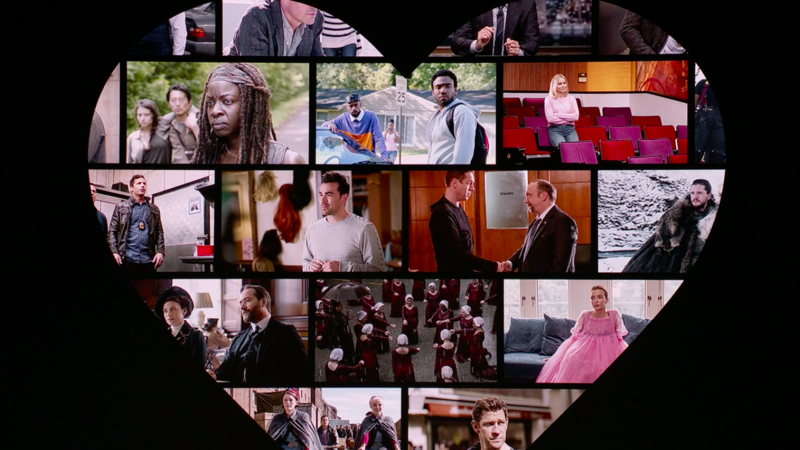 In this new service, there will be original content known as “Stories” in which big names in Hollywood and the media create original content focused on Apple’s ideas of integration, creativity, and humanity, bringing the world together on an even bigger level. Among the surprises were a multitude of guest appearances. First, Steven Spielberg made an appearance and explained where his love for film originated: in the imagination. He went on to explain the new show he has developed with his Amblin team in which they would be resurrecting groundbreaking news stories and bringing them to life in the modern age. Jennifer Aniston and Reese Witherspoon also made an appearance and announced their new project The Morning Show. They explained that it would be an insider’s view into lives of people who help others wake up in the morning as well as the complex relationships behind them. Steve Carell also wandered onto the stage in the announcement of this new show and would not relent on describing how diverse his character was in the series. 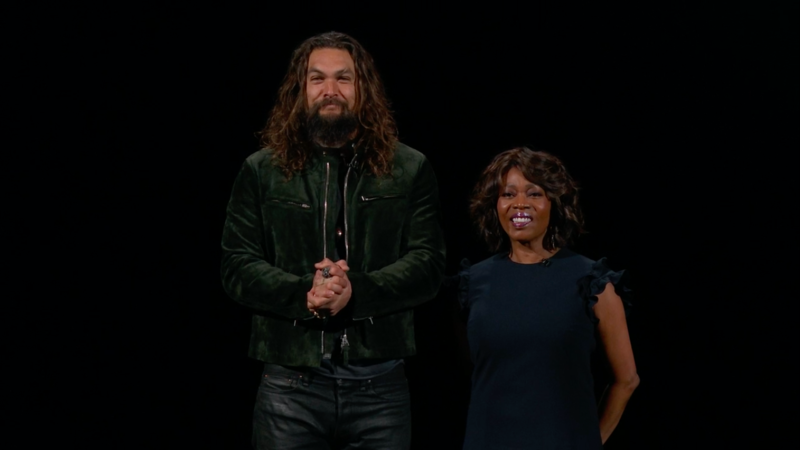 Aquaman, also known as Jason Momoa, also made a surprise appearance to announce the original story See, about a virus leaving only a few survivors who were blind. 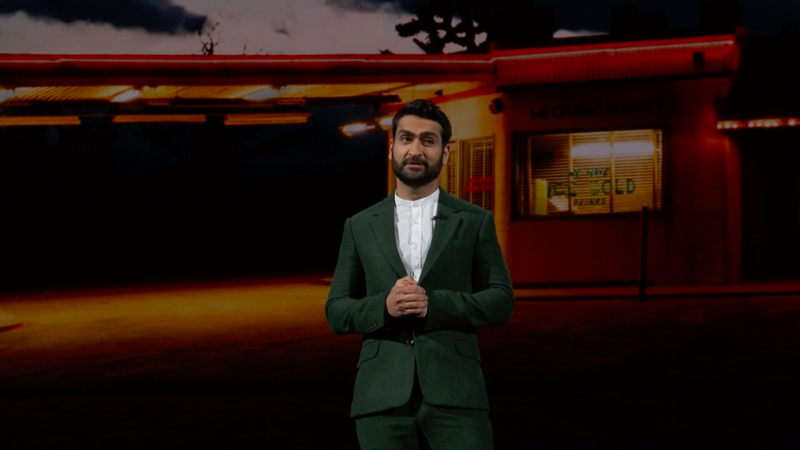 Additionally, Kumail Nanjiani described his move from Pakistan to Iowa and his disillusionment with the American Dream. He went on to explain his American experience in Chicago, and related just how American it was. His new story, Little America, was inspired by true stories of immigrants in US. “There is no such thing as the other. There is only us, ” Nanjiani told the audience. In the kids sphere, a new Sesame Street spin-off called Helpsters has also been created. This show would focus on a preschool audience and involve new ways of learning, such as through coding. 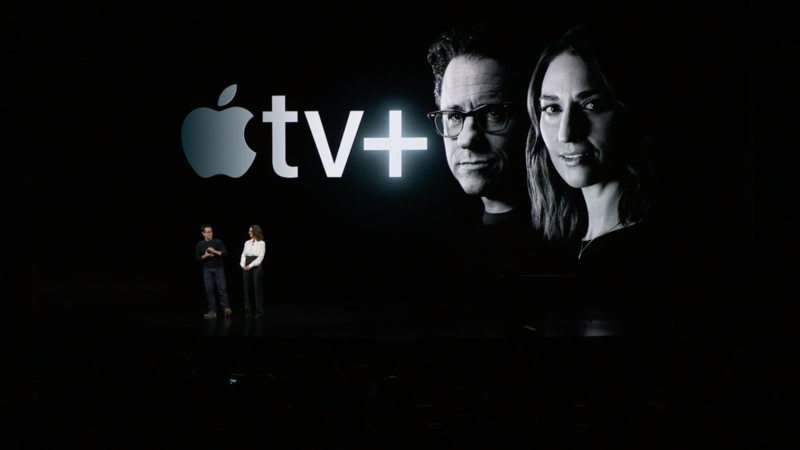 Sara Bareilles and J.J. Abrams also announced their show, Little Voice, which Variety had previously learned would be a straight-to-series order by Apple. This series would be a musical journey akin to Sara’s own story. 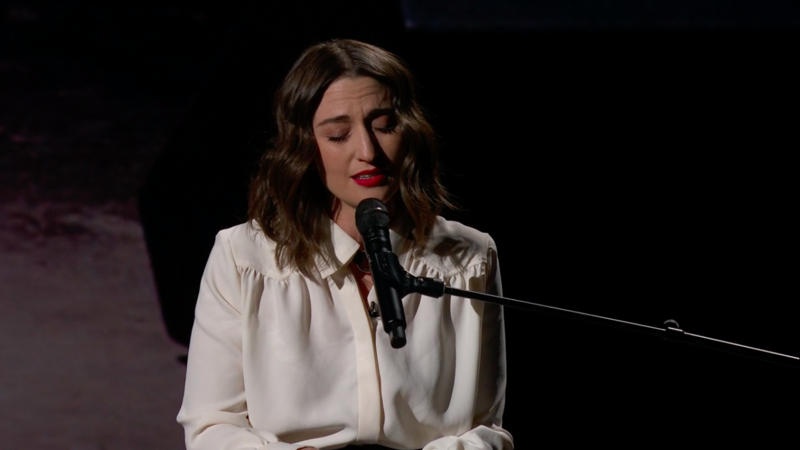 Bareilles gave viewers another treat by playing the opening theme to the show. Oprah made a very last special guest appearance. The audience stood when the lights came up after a video was shown announcing her arrival. 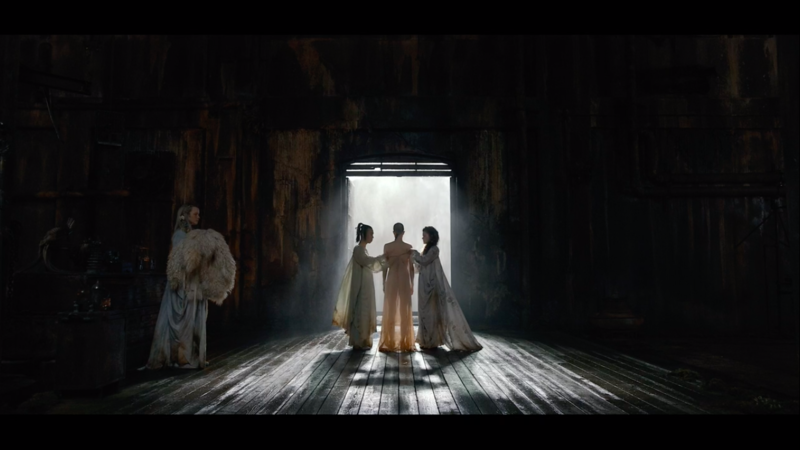 “There has never been a moment quite like this one. We have this unique opportunity to rise to our best selves,” Oprah announced. 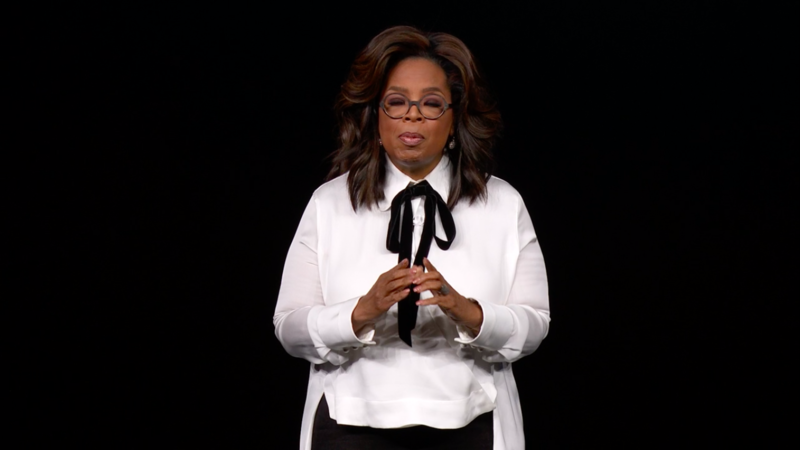 When explaining her decision to partner with Apple, she bluntly stated: “Because they’re in a billion pockets y’all, a billion pockets.” Oprah also described two documentaries that she will release for Apple TV+: one involving a look at sexual assault in workplace with a working title Toxic Labor and another focused on mental health and replacing shame and stigma with honesty. Oprah additionally announced a global book club that she plans on streaming in a live conversation with Oprah herself in what she called a “meeting of minds” across the world through books. 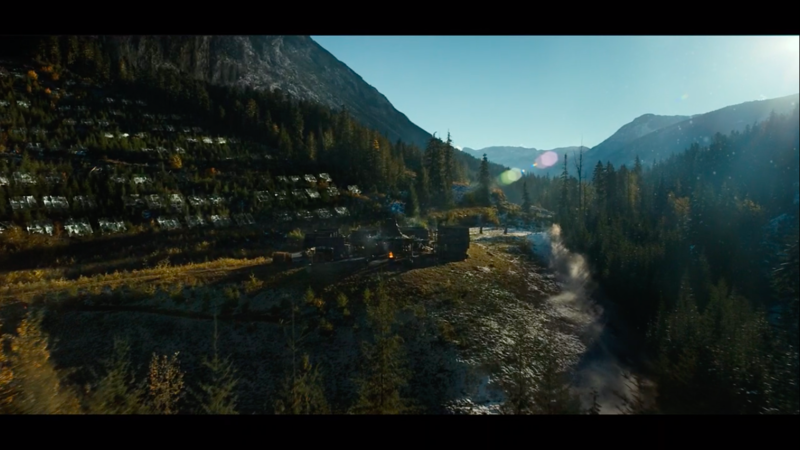 Below are some stills from the compilation video created for the event that revealed an inside look on the shows. Although not quite what the audience was expecting, this display of original shows and movies could be the first move towards a full-fledged streaming service. Toby Chapman, of the consultancy firm OC&C, spoke with The Independent: “Their hardware ecosystem is a force to be reckoned with; combining Apple TV, iPhones and iPads with Airplay technology will provide consumers with a truly seamless experience,” Chapman added. “Apple’s existing billing relationship with customers also means it will be easy to drive sign-ups. 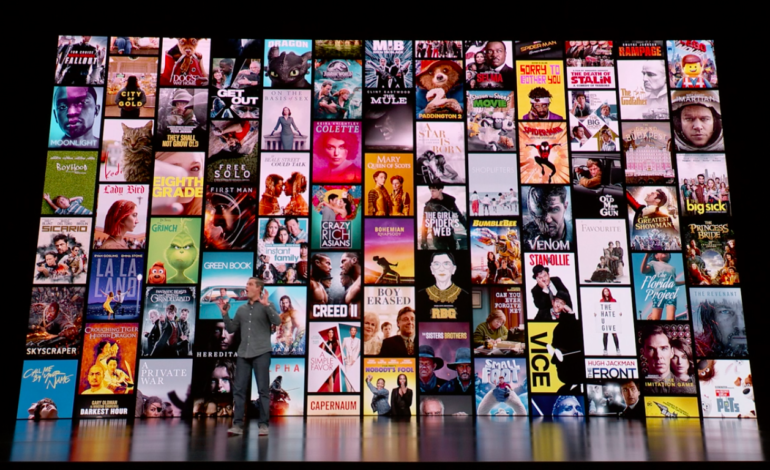 We may see Apple’s subscription services bundled together, such as Apple Music and Apple Video.” Due to Apple’s large following, as well as its integration between hardware and software, it is expected that Apple’s subscription services could become a large rival for Netflix. Other announcements were also made during the presentation. The first announcement was the release of Apple’s paid-for news subscription service. This service would be much like a cable subscription service, except for reading rather than viewing material, in that users would pay for a bundled selection of newspapers and magazines with a single subscription fee. 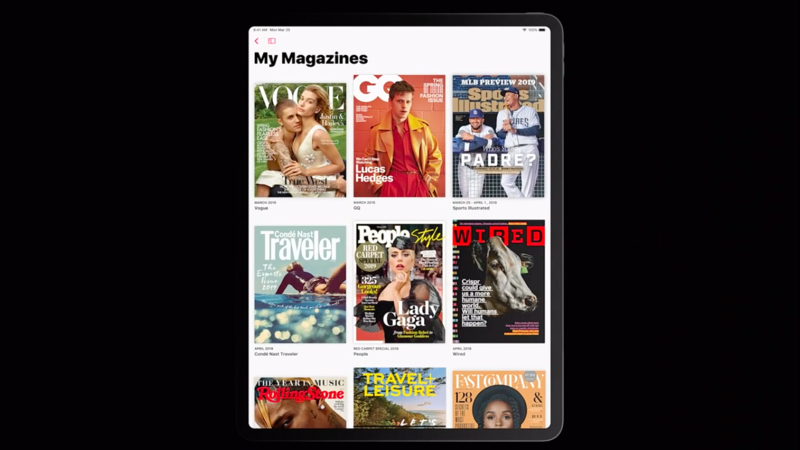 Apple announced this service first, called Apple News +. The service will feature 300 news and magazines and will have moving photos on the cover of each magazine. 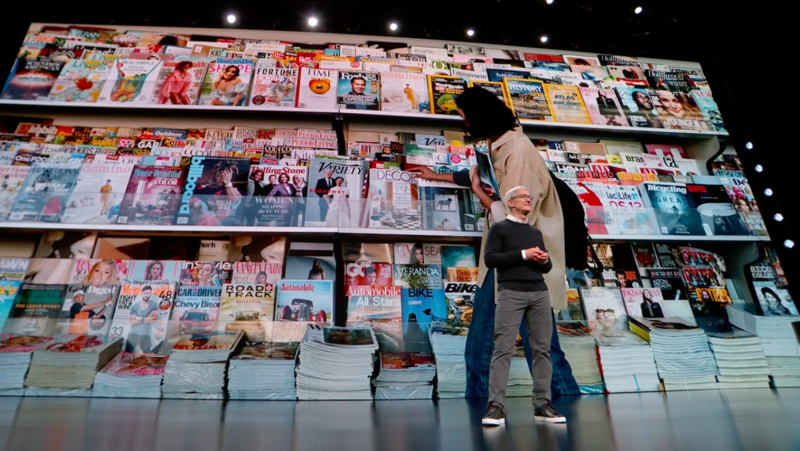 The digital magazines will also include premium digital subscriptions and it will be personalized while maintaining the privacy Apple is known for through on-device tracking. The cost for this subscription will be $9.99 per month with free family sharing. Other leaked information also included a possible Apple credit card, due to Apple’s new partnership with Goldman Sachs. 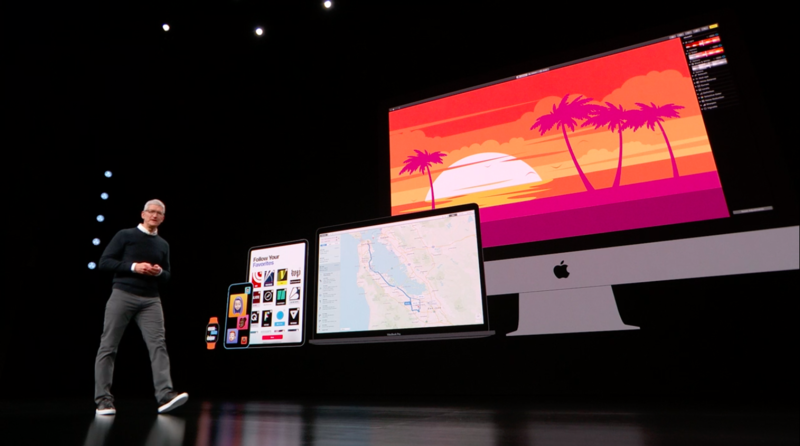 During the special event, the new way to pay was announced: Apple Card. It was confirmed that cash back and rewards would take place and it would be called Daily Cash. 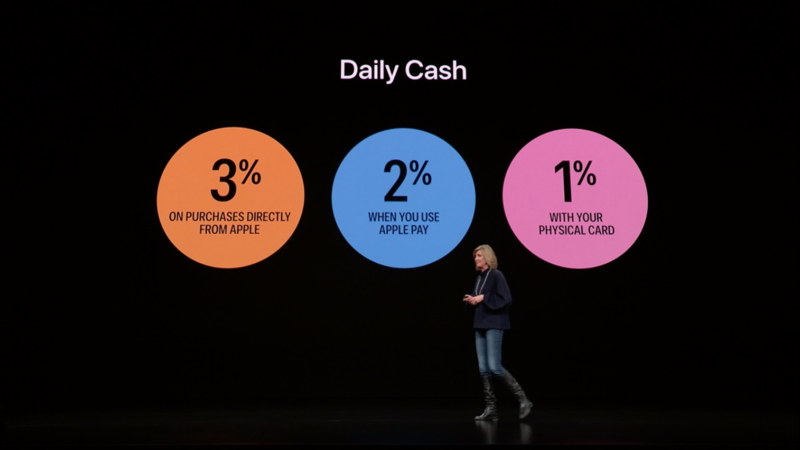 This would occur every day you spend, adding cash to your cash card for 2% of everything you buy, and 3% for every Apple related purchase. This could be considered the only hardware announced, as it involves a physical card. 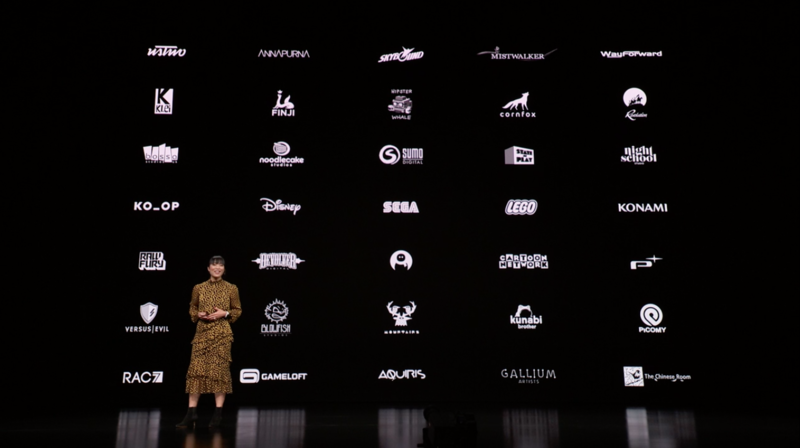 Apple Arcade was another streaming service announced. This involves the gaming service Apple already involves within the App Store.